How is it November already? The leaves have changed colours and there is a chill in the air, fall has officially arrived. 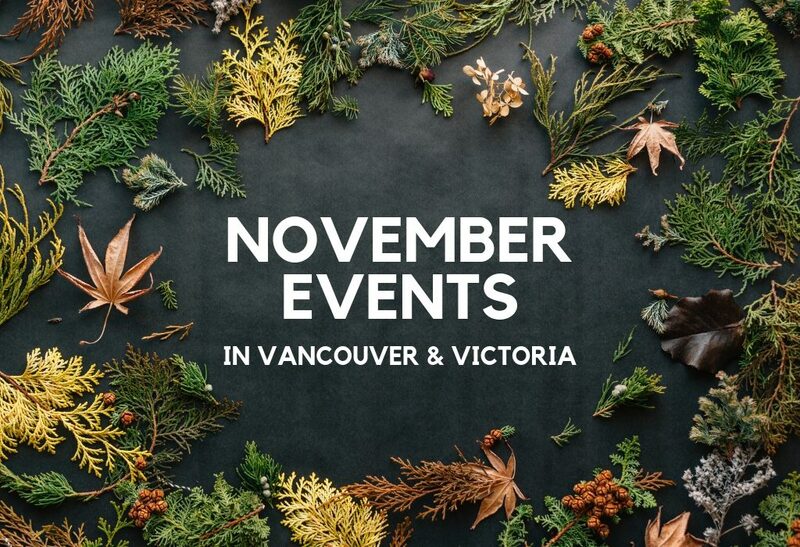 Check out these November events in Vancouver and Victoria that you don’t want to miss out on! There’s something for everyone! Enjoy live music and performances, a full catered dinner, silent auction and more! Tickets are $70, with all proceeds going towards Epilepsy Education and Programs at The Centre for Epilepsy and Seizure Education in BC. For more information, click here. This captivating evening features a jazz concert with acclaimed Victoria talent Edie DaPonte and her band, a cider and ale reception, tapas, silent and live auctions and much more! Tickets are $130, with proceeds going towards the Victoria Brain Injury Society (VBIS). For more information, click here. 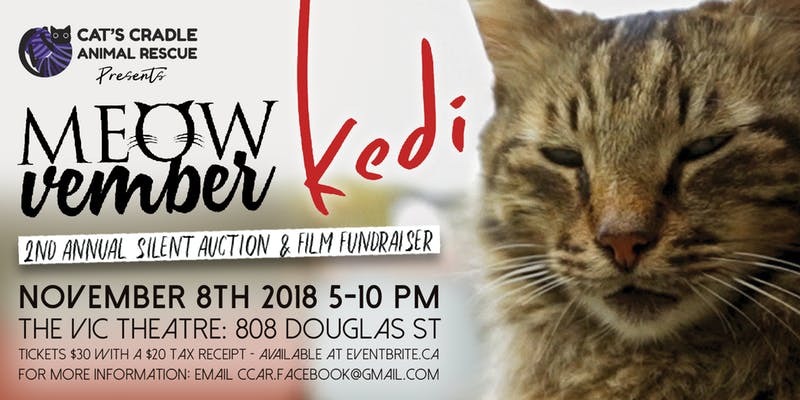 A great night out with a special screening of Kedi – A profile of an ancient city and its unique people, seen through the eyes of the most mysterious and beloved animal humans have ever known – along with a 50/50 draw, door prizes, and silent auction with fabulous items from local artists, restaurants, breweries, spas and so much more. Tickets are $30, with all proceeds going towards the Cat’s Cradle Animal Rescue. For more information, click here. If you’ve been wanting to flex your brain, drink some beer and try and win some seriously sweet prizes, come out Friday November 9th to our Fall Fundraiser- a night of CRAFT BEER & JEOPARDY STYLE trivia! Tickets are $15, with opportunities to donate to Resist Exploitation, Embrace Dignity (REED)’s crucial work with and for exploited women. For more information, click here. Join KARES for a magical evening as we enjoy outstanding food, fantastic music and lots of fun with amazing folks from across the country! All in the most incredible setting on the water in support of Kids-At-Risk Embracing Success across Canada! For more information, click here. Outlooks for Men, Bernstein & Gold Boutique and the Inn at Laurel Point have teamed up to bring you the 11th annual Man & His Dog Fashion Show (with a few good women). 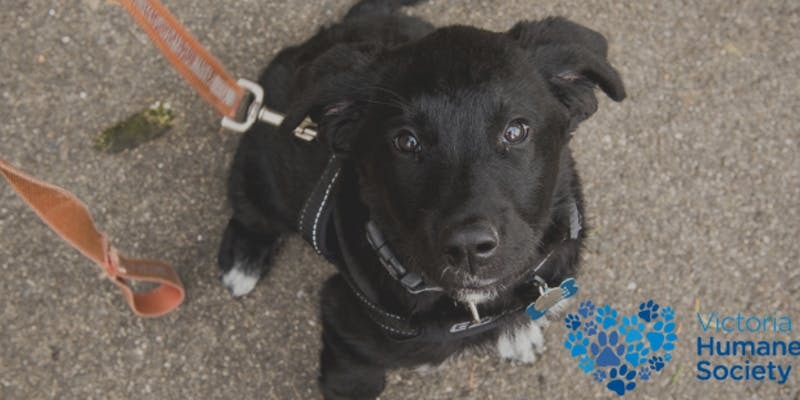 Tickets are $60, supporting the good works of the Victoria Humane Society. For more information, click here. Come be a part of a fun evening in an effort to support local Surrey charity groups for the Holiday Season. 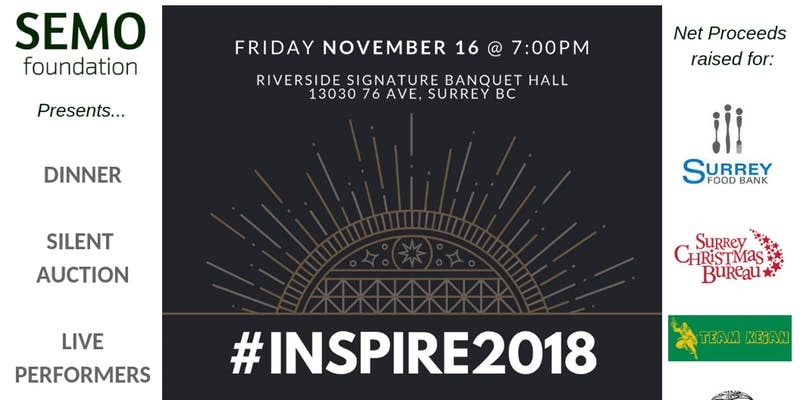 Tickets are $40, dinner fundraiser to benefit local groups: Surrey Food Bank, Surrey Christmas Bureau, Team Keian & Fraser Region Aboriginal Friendship Centre. For more information, click here. Join Watershed Watch for our 20th anniversary celebration and fundraiser to celebrate this milestone, and learn more about our work! For two decades, Watershed Watch has been working to defend and rebuild B.C.’s wild salmon. Tickets are $25, that will go towards the Watershed Watch campaigns. For more information, click here. Break out your favourite pair of heels or don your best tie for a night full of food, drink, silent auction, keynote speaker and live music! Tickets are $40, that will go towards the UVic Global Medical Dental Brigades. For more information, click here. KWANTLEN POLYTECHNIC UNIVERSITY presents Student Appreciation Comedy Night at Yuk Yuk’s Vancouver. The event will feature amateurs and one headliner. Tickets are $5, all proceeds will go to the Surrey Food Bank Society. For more information, click here. Come join us for our 2nd Annual Fundraiser and Silent Auction at the beautiful Glo restaurant + lounge. Tickets are $45, all proceeds will go to Another Brick In Nepal – Canada. For more information, click here. 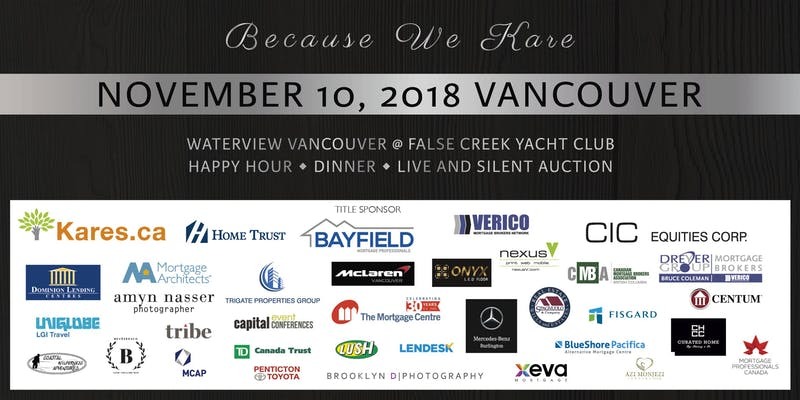 This semi-formal event will include live music, food (horderves/canapés), drinks, prizes, and both a silent and live auction to help raise funds for UrbanPromise Vancouver. Tickets are $60, all proceeds will go to UrbanPromise Vancouver. For more information, click here. Join REALTORS To The Rescue for their first annual event, an evening of live music, food, cocktails and a 50/50 draw. Tickets are $40 and all proceeds will go towards the Victoria Humane Society. For more information, click here. The Vancouver Island community is invited to join VIDEA’s annual Fair Trade Fair on November 24th. We are celebrating our 40th Anniversary as a local human rights based organization, and over 30 years of running this vibrant community event. For more information, click here. Join us at our first annual formal Christmas fundraising gala! There will be live entertainment by the Mayday Club Youth Choir for Neurodiversity, and some special guest performers including Ben Simcoe and more. Tickets are $35 with all proceeds to benefit the Mayday Club Youth Choir. For more information, click here. Did we miss your event? Let us know! 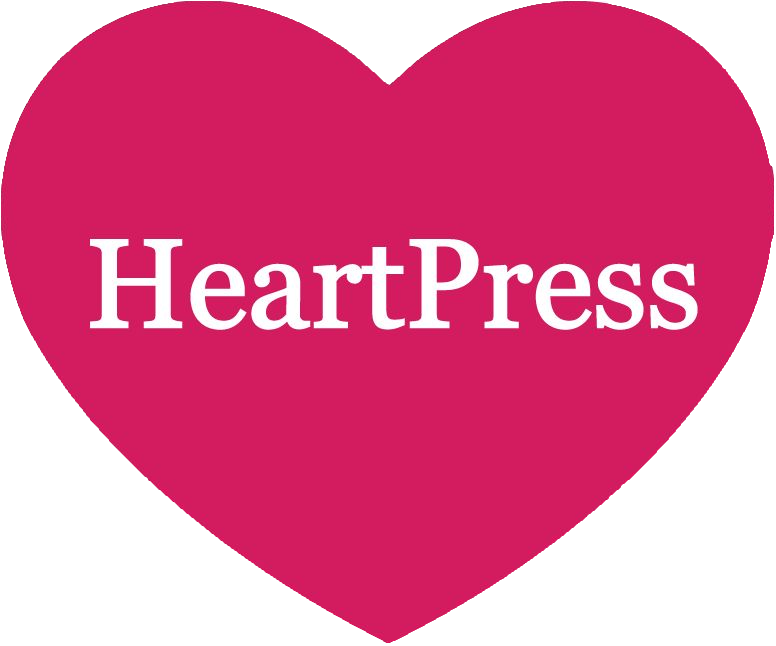 contact the team at HeartPress.